Growing indoors poses some challenges, one of which is temperature control. If you are struggling to beat the heat in summer, here are some pro tips. Heat management is one of the most prominent issues indoor growers need to contend with. The reason for this is in the very nature of indoor growing. Be it a stealth operation or legal production, both require external electrical inputs to simulate nature. This primarily involves the use of artificial lighting and dehumidifiers—the two main culprits for potentially excessive readings from the thermometer. Without strong lights, your weed plants will not produce big buds. Without adequate dehumidifying power, you risk losing your entire crop to bud rot. However, heat stress can trigger hermaphroditism, where the plant will start producing male pollen. Leaves may also curl upwards, eventually leading to necrosis. Bugs (such as spider mites) love the excess heat and will multiply much quicker. Bacteria and moulds also favour higher temperatures. The trick is to balance things out to achieve optimal growth rates within your space. If you want a high-performance garden, then some extra investment may be needed. Also, depending on the stage of growth, different environmental conditions will be tolerated. The most efficient way to deal with heat is air exchange. The more air you exhaust and replenish, the more heat is removed. You will know your exhaust is efficient when indoor temperatures become close to external ambient values. The same is to be said about relative humidity. This is by far the most cost-effective way to manage both temperature and excessive RH%. The only problem with high-quality exhaust fans is they can be excessively noisy. If you have neighbours, it is something to think through carefully, as you do not want anyone knocking on your door due to noise complaints. The solution is simple, though it will cost you a little extra. Buy an exhaust fan that is recommended for a grow room three of four times larger than your space. You will also need a variac. A variac is an adjustable voltage controller that can safely power your large fan. The result is a significant volume of air exchange with very little noise. The big fan will spin slower, but the resulting airflow will be higher than your small fan working at full blast. As a final remedy, switching lighting systems may be the only way to tame excessive heat in the grow room. HID and plasma lighting produce a lot of heat. You can install ducted reflectors that will pump their heat outside directly. Alternatively, switching to next-gen LEDs is also a viable option. CFLs work great for seedlings and clones, but are very inefficient for flowering. Another neat trick is to alter your light schedule. Many indoor growers prefer to run their lights during the night because ambient temperatures are lower. In many places, electricity is cheaper at night too. This fits in great with the 12/12 flowering schedule. But what about the 18-on/6-off, or even the 20-on/4-off schedule? This will guarantee your plants stay in vegetative growth as long as you like, while only consuming a total of 13 hours of electricity per day. Your monthly bills will go down, as well as your temperature woes if you run it at night. This is possibly the highest-performance setup you can have in the world today. Plants feed on light, water, nutrients, and CO₂. By supplementing your grow room with CO₂, you will be able to run a temperature much higher than typical recommended values. 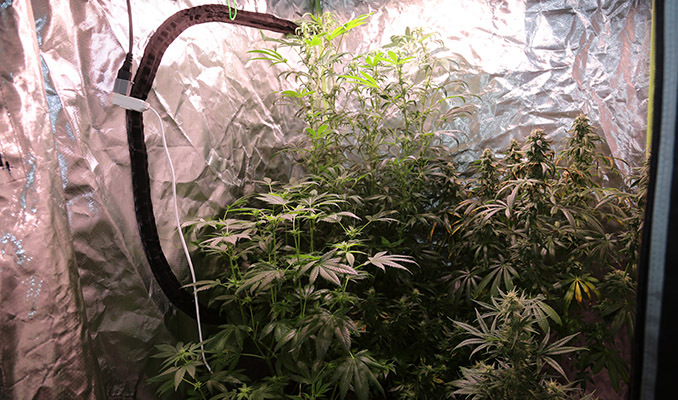 Some grow rooms go up into the 35ºC range safely. The average ambient CO₂ level on earth today is around 400ppm. By increasing to around 1500ppm, you will turbocharge your plant’s performance and tolerance levels. CO₂ can get quite expensive, as it requires you to run a sealed room. Nevertheless, if done correctly, the return on investment can be more than worth the overhead. As a last resort, you can add an air conditioning unit to your setup. But this will again involve buying more gear and increasing your monthly electricity budget. Even if you are growing in a closet, by the sea, and during a summer heat wave—it is still possible to produce great weed. You just need to invert your growing strategy. Instead of trying to beat the heat, use it to your advantage. Select a stable sativa-dominant strain. Sativas are indigenous to the tropics of Central and South Africa, Jamaica, India, Thailand, and Mexico. They have naturally adapted to high temperatures. Do some research, and you will soon have a shortlist of adequate strains that are known to tolerate, or even enjoy high temperatures. Seedlings and clones love high humidity. Specifically, new clones that have not yet developed roots will need close to 100% relative humidity to thrive. At the early stages of germination and cloning, try to maintain a consistent temperature all day long. Seedlings start their natural life underground, where temperatures do not vary as much. It is our job to simulate these conditions. Similarly, clones just suffered the most shocking of stressors, so the more stable the environment, the quicker they will recover. 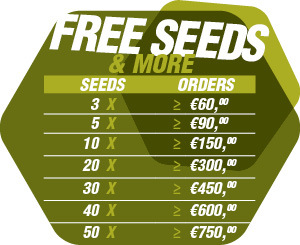 Recommended temperatures for clones and seedlings are around 20–25ºC. Anything above this value may become too stressful. But as long as relative humidity is higher than 70%, they should be able to tolerate a few degrees more. During the veg period, plants can handle slightly higher temps of around 20–30ºC. Ideal relative humidity is above 70% and below 85%. During this phase of growth, plants are threatened more by low temperatures (below 15ºC). Interestingly, you can use day/night temperature differences to your advantage. The greater the difference, the longer the stems and internodes will be. Conversely, day/night temperatures that are closer together will contribute to less stretching and a more compact structure. When you switch to the flowering stage, you should also start transitioning your environment gradually. The rule of thumb is to mimic nature. You should attempt to increase your average day and night temperatures, making sure not to exceed 28ºC. At this stage, you are still waiting for pistils to form and buds to bloom. 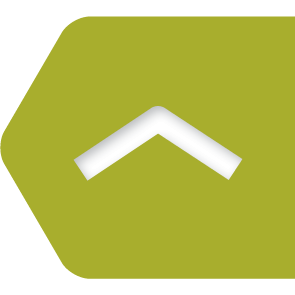 There is still no significant risk for fungal or mould attack, so relative humidity can remain at around 65–70%. In any case, you should ideally start decreasing RH until it’s below 60%. Autumn has come, and the end of the cannabis growth cycle is near. At this point, you are in the final sprint to the end. You have worked so hard, and harvest is just around the corner. Flowers are in full bloom, trichomes start sparkling, and terpenes fill the room with that wonderful aroma. Beware, excess heat can burn that smell away, as well as cook your resin glands to a lower THC content. Unless running CO₂, avoid going over 28ºC. Pistils are quite sensitive, and it is not uncommon for a cola to simply let itself dry out in just a few days without defence. If heat is still a problem, do your very best to raise the lights as much as possible. Your primary concern should now be dehumidifying, which, as mentioned before, can significantly raise your indoor temperatures. To effectively avoid any disease from attacking your crop, maintain RH values of between 40–50%, ideally in the lower range. If you are attentive to the influence of temperature (and relative humidity) when growing indoors, not only will you avoid complications such as root rot, you will also achieve peak performance and be rewarded with a handsome yield.